Lent is upon us; my love for soup continues. As I was making my own special kind of soup, I wanted to save time and create a simple shrimp stock recipe to help me with future recipes. What I came up with was a quick and delicious simple shrimp stock for lazy people, like me! We love to eat shrimp in our home, and we love it in basically any dish. For this reason, I decided to give this simple shrimp stock recipe a try and thought it wasn't hard to make it, what was hard was writing down every measurement I used when I don't normally measure when I cook. My plan is to use this stock for this; a shrimp soup I have planned this week that will have some Puerto Rican seasoning and rice. To save time, and because I am kind of lazy when it comes to being in the kitchen, the idea of creating this stock early occurred to me. Another thing is that creating a stock and saving it for later is new to me. 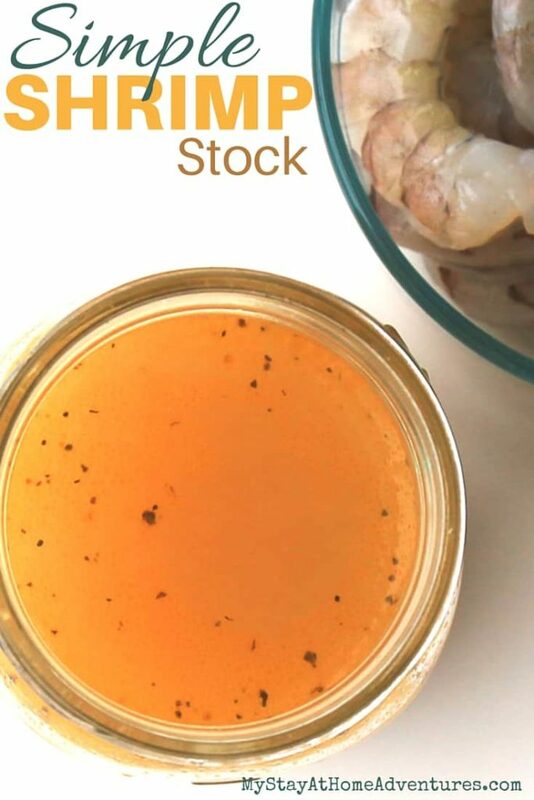 This simple shrimp stock recipe doesn't make a huge batch of stock since I didn't need much. I only used the shells from the one pound bag of shrimp I purchased last week (it was on sale!). 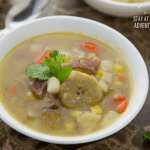 The fact that this was my first time creating this stock ahead of time, and since I wanted to share this recipe, I was a bit worried I would go way over my head. If you make enough, you can freeze the shrimp stock and use it later. The possibilities of how you use this simple shrimp stock are endless. 1 lb of shells and tails – I only used the shells and tails from my 1lbs bag of shrimp. Heat up a large pot over medium heat and add butter, carrots, onion, and seasonings. Once the butter is melted add the shrimp and stir until they are pink. Add what is left of the ingredients. 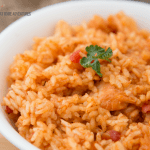 Reduce heat and simmer for about 35 – 45 minutes. 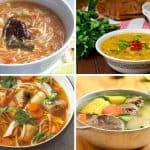 I hope you enjoy our simple shrimp stock and use that stock to create mouth-watering food and share the recipes with me! 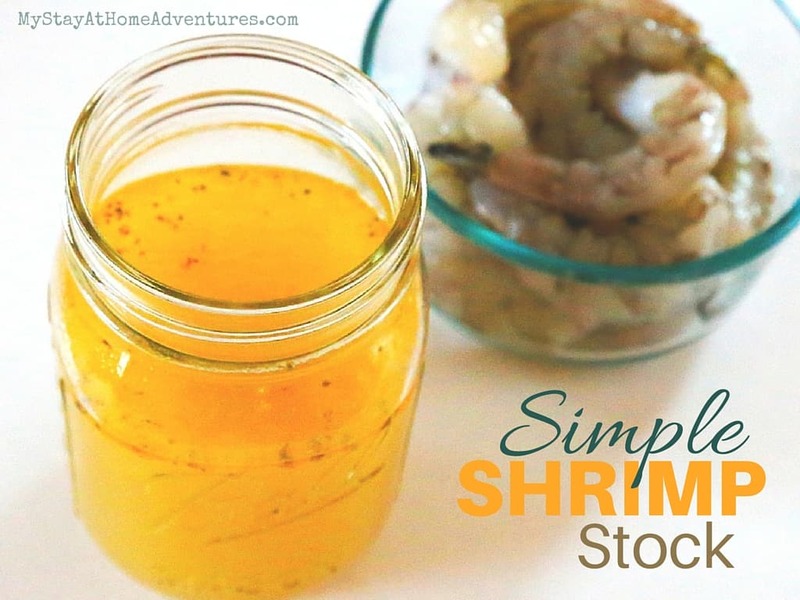 So how do you prepare your shrimp stock and what do you use it for? 1 lb of shells and tails - I only used the shells and tails from my 1lbs bag of shrimp. Reduce heat and simmer for about 35 - 45 minutes. I can’t wait to try this! My son only eats seafood, not meat. So every time we make a soup I use vegetable broth instead of chicken or beef. Shrimp stock sounds so much better. Thanks! 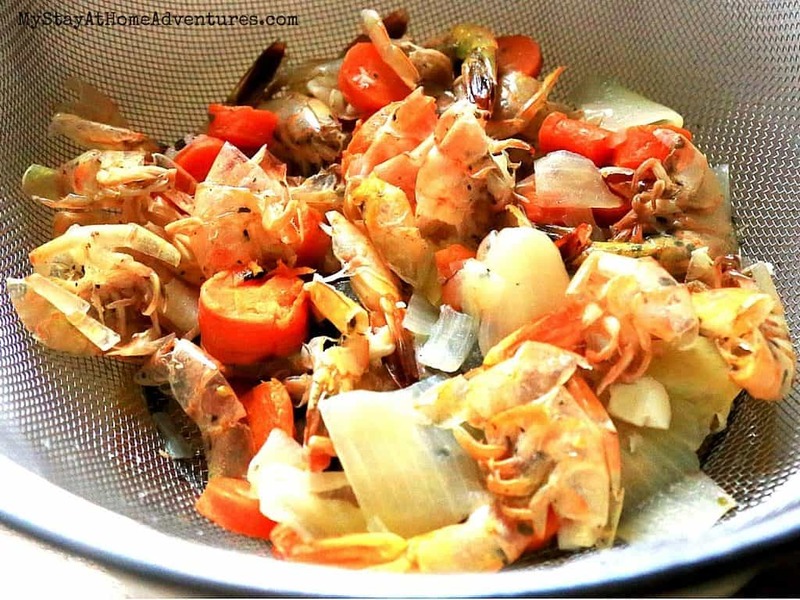 I have never heard of shrimp stock…but we love shrimp and this sound great!! 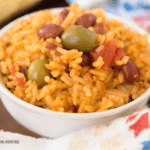 Thanks for sharing a unique recipe!